However, it will not allow third party banner ads to appear, a blog post said. “We want to explore ways for you to communicate with businesses that matter to you too, while still giving you an experience without third-party banner ads and spam,” it said. It has also assured that the messages will stay as end-to-end encrypted. The blog post further elucidated that the new terms and policy will be useful for your banks to notify you about possible fraudulent transactions, or a travel agency to notify you about delayed flight. According to Motherboard, there is a way to stop WhatsApp from sharing data to Facebook. 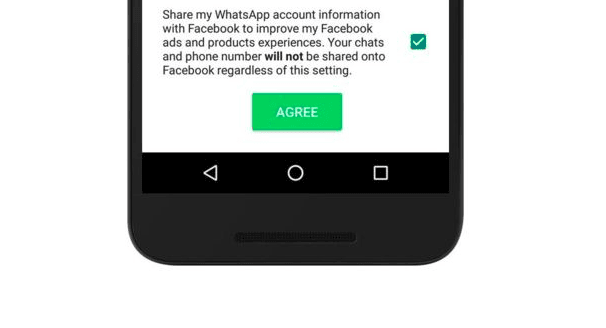 Before accepting the policy blindly (by clicking the “Agree” button), press the “Read More” option and uncheck the box that reads “”Share my WhatsApp account information with Facebook…”. If you have already accepted the new terms and policy, within 30-days, you can visit the Settings > Account and uncheck the box reading “Share my account info” to stop providing Facebook with your user data. This was bound to happen. But FB is still behind Google in this kind of practice. Google is lord of the data harvesting. They don’t even spare your email and Google drive files. That’s why I have subscribed to O356. Apart from better service than Google, I have peace of mind too.